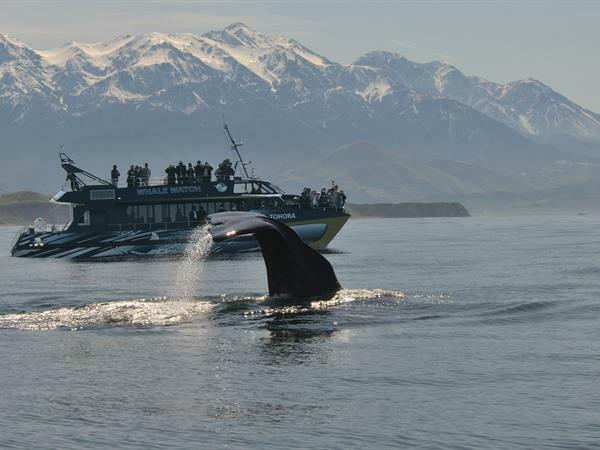 Join Hassle-free Tours on a full day Whale Watch tour to Kaikoura from Christchurch. Your day commences with a scenic drive from Christchurch over the Canterbury plains before arriving in the majestic seaside village of Kaikoura. Once in Kaikoura you will be taken to a lookout to enjoy spectacular views of this pretty seaside village, the majestic mountains and the beautiful Pacific Ocean. Next visit a fur seal colony before heading into Kaikoura for some free time to explore and enjoy lunch at your leisure. In the afternoon you will board a catamaran with Whale Watch Kaikoura and enjoy an up-close encounter with the Giant Sperm Whale. Due to the popularity of this tour, only a limited number of seats are available and often sell out. Join Hassle-free Tours on an exhilarating full day Whale Watch tour to Kaikoura from Christchurch. 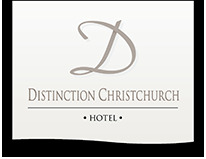 Our Distinction Christchurch Hotel team can organise a pickup from our central city Christchurch hotel.